Click the photos for a larger view. I plan on making these on a reguar basis. If I do not have it in stock, it can be made in about 7 days time. 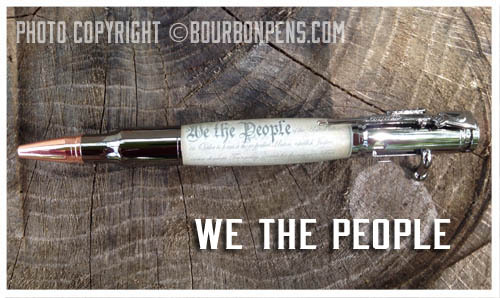 Custom designed "2nd Amendment" 30 caliber bullet pen. Acrylic cast and precision turned and polished. Gold, chrome, and gunmetal are in stock. 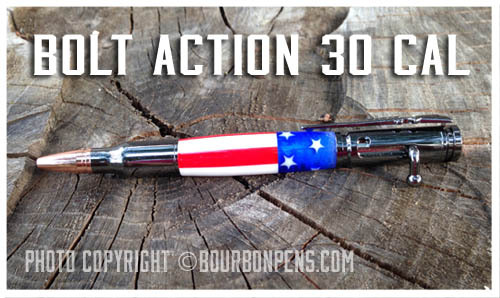 Custom designed flag on a 30 caliber bullet pen. Acrylic is precision turned and polished. Gold, chrome, antique brass and gunmetal are in stock. 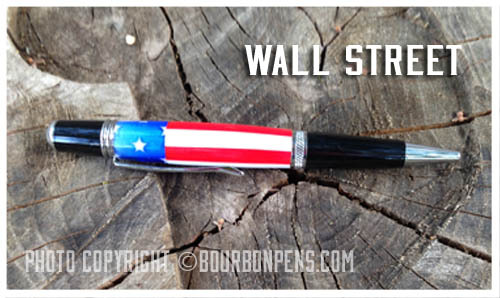 Custom designed flag on a Wall Street pen. Acrylic is precision turned and polished. Gold, chrome, and gunmetal are in stock. 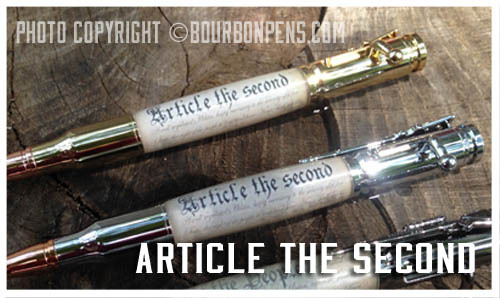 Custom designed "Constitution" 30 caliber bullet pen. Acrylic cast and precision turned and polished. Gold, chrome, and gunmetal are in stock. 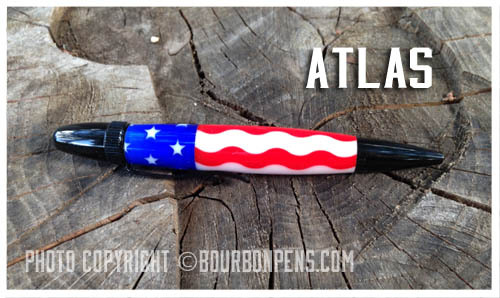 Custom designed Atlas pen with acrylic flag body. Acrylic is precision turned and polished. Chrome and gunmetal are in stock. Black can be ordered - I currently only have the one in the pic! 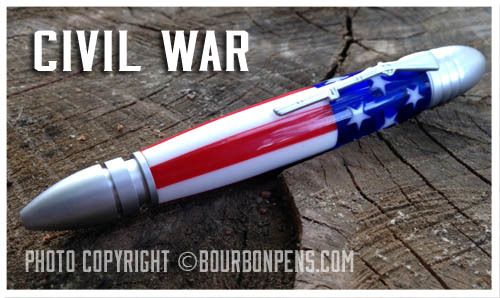 Custom designed Civil War bullet pen with acrylic flag body. Acrylic is precision turned and polished. Chrome, brushed silver, antique brass and gunmetal are in stock. 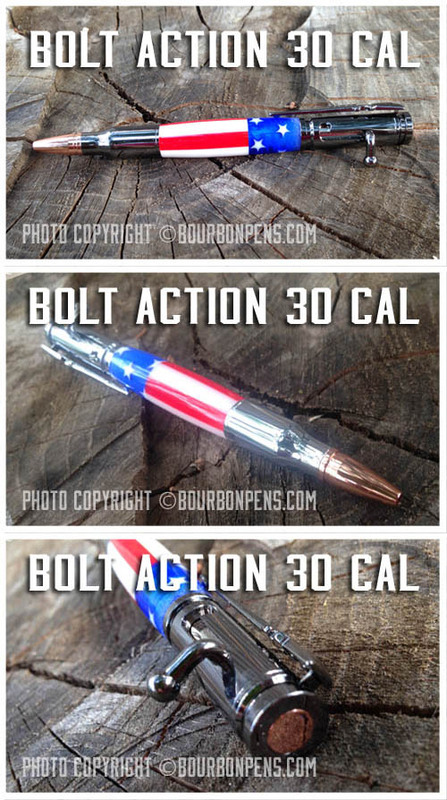 This pen comes with an info book on the types of replica bullets used! 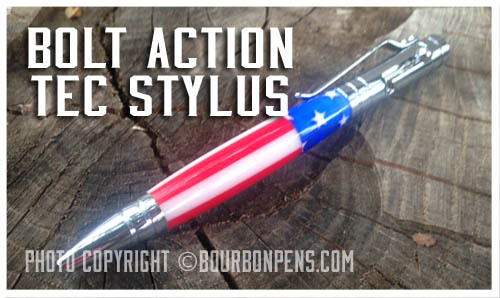 Custom designed Flag on a cool pen! This Tec pen comes with both an hard top and a stylus top. Gold, chrome, antique brass and gunmetal are in stock.